In the 11 years since starting its “Share the Love” charitable donation program, Subaru of America has given more than $145.7 million to over 1,170 national and local partners. The automaker’s donation for 2018 was nearly $24 million. Select retailers participated in an additional hometown charity donation by offering their own “per vehicle sold” contributions, which generated an additional $3.5 million nationwide. Held from mid-November to the end of the calendar year, the annual event donates $250 to the purchaser’s choice of charities for every new Subaru vehicle sold or leased at 631 participating Subaru retailers nationwide. 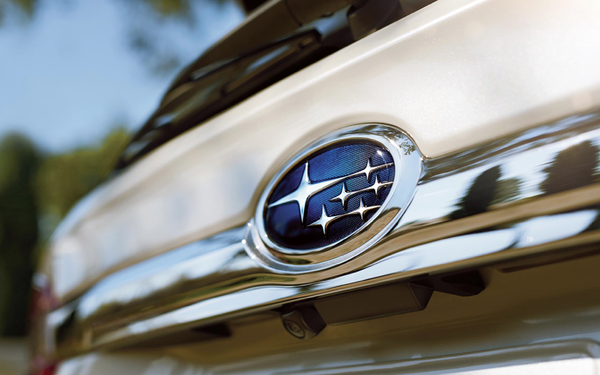 For the third consecutive year, Subaru did not place a cap on total contributions to its "Share the Love" national charity partners: the American Society for the Prevention of Cruelty to Animals, Make-A-Wish, Meals on Wheels America and the National Park Foundation. In addition, Subaru retailers selected either one or two hometown charities from their local community to support, adding more than 682 local causes to the 2018 Subaru Share the Love Event. As a result of Subaru customers’ selection, national charity partners received $10.1 million, while hometown charities received $17.4 million. The automaker and its retailers are “passionate about positively impacting our local communities and the causes our owners care most about, simply because it is the right thing to do,” says Brian Cavallucci, national advertising manager, Subaru of America. “The Subaru 'Share the Love' event exemplifies our core values as a company and is just one way that we work to support those in need across the country and fulfill our Subaru Love Promise,’ Cavallucci tells Marketing Daily. New this year, the automaker hosted a kickoff event on Nov. 15 to celebrate the return of the event at its U.S. headquarters in Camden, NJ. In partnership with the Food Bank of South Jersey, Subaru employees donated and packed a record-breaking 6,600 “KidzPacks” to supply the food bank’s weekend meal program for an entire school year. In addition, employees at all regional Subaru of America locations partnered with local food banks.